There is this one, single, big reason why you should visit the Netherlands in spring. Tulips. 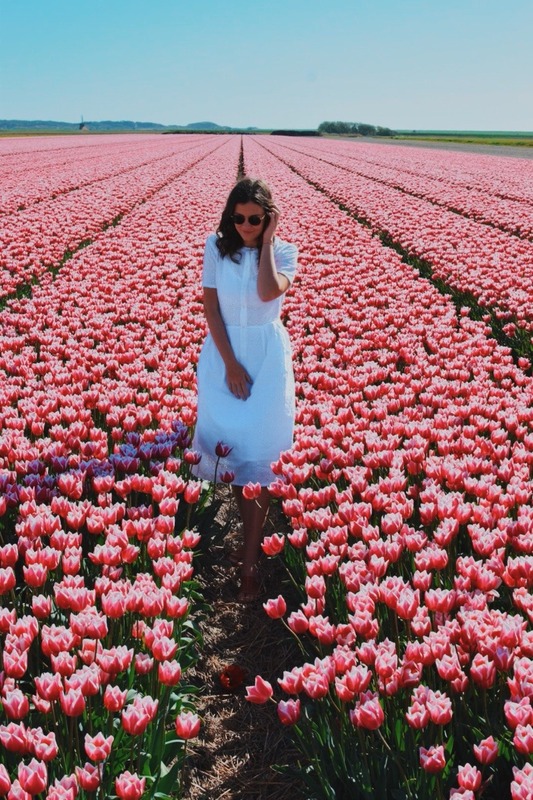 Lots and lots of tulips. 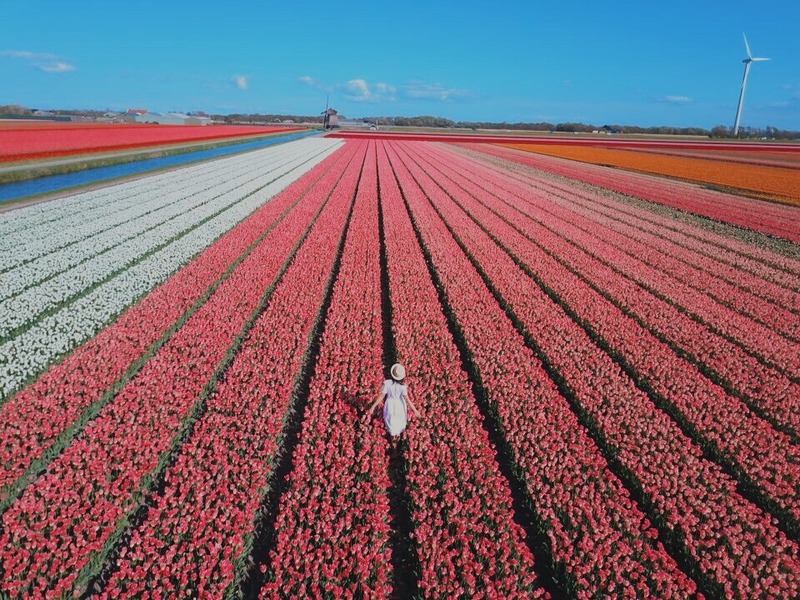 Once a year all of Holland gets the tulip fever and many areas are filled with the most colourful fields of narcissus, hyacinths and of course tulips. The tulips usually start to bloom at end of April and stay beautiful through the beginning of May. Narcissus start a bit earlier which is why you can see them from mid to end of April. 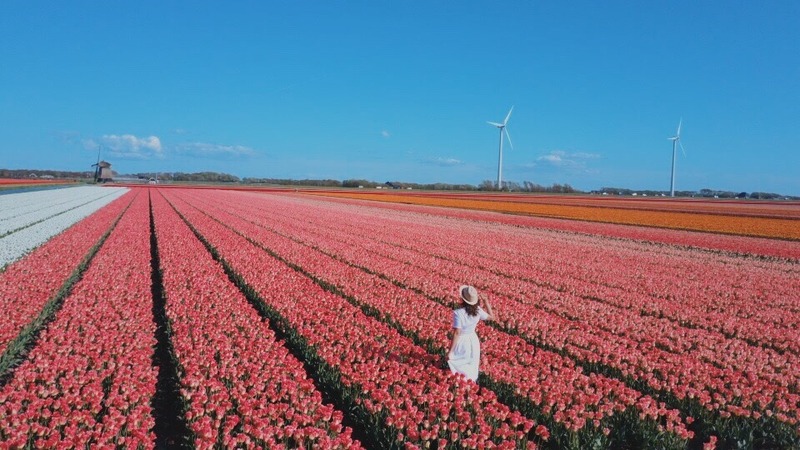 Naturally, tulip season depends on the weather… most tourists do tend to visit from April to May though. For a weekly flower update you can always check out the tulips in holland website. This website will let you know when the tulips start to bloom. 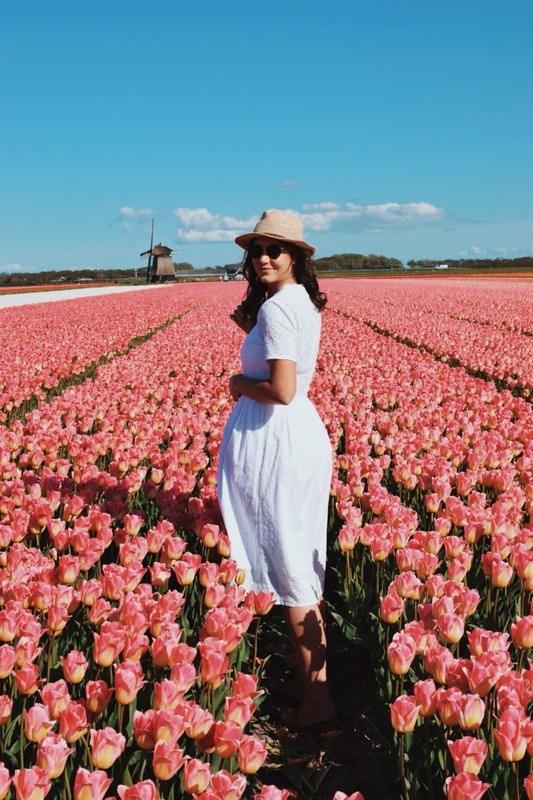 Spring came late this year (2018), which is why we got to see the tulip fields until the second week of May. The most popular spot for tourists is Keukenhof. Keukenhof has one of the worlds largest flower gardens and is filled with many beautiful flower fields but unfortunately also with many tourists. It is worth visiting if you enjoy gazing upon flowers. This flower garden is usually open from March until May (depending on the blooming status). You can always check out the opening date for each year on their website. There are many other flower gardens in the Netherlands such as the one in Anna Paulowna. 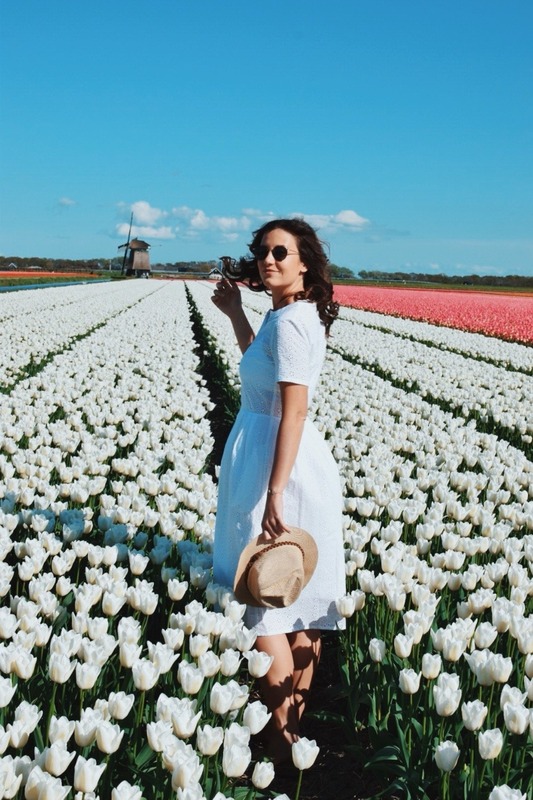 You can also find a lot of flower festivals to attend to and once a year you are even allowed to walk through the tulip fields (for free as well). For more information visit the website of the Bloemendagen (flower days in English). You are not allowed to cut the flowers unless you are permitted to by the farmers (there are many fields that are mainly for tourists). 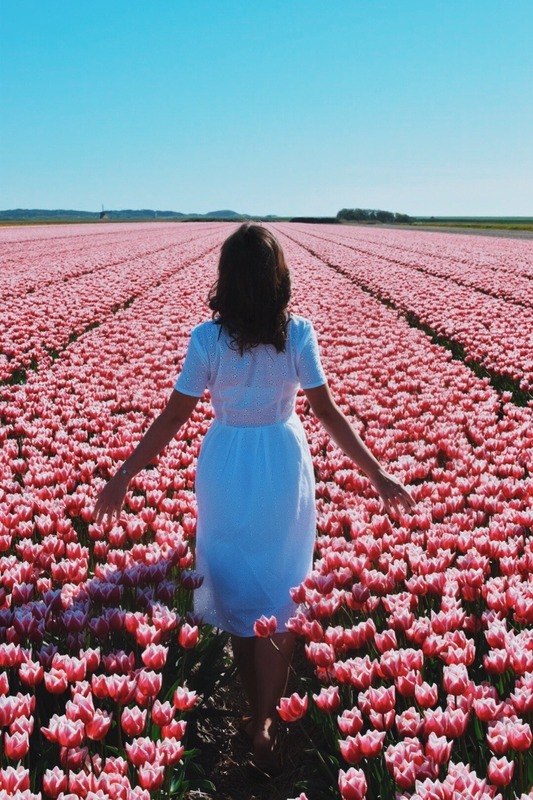 There are narrow pathways that enable you to walk through the fields, but be careful not to harm any of the flowers. Many farmers (if not all) aren’t growing their flowers for the cut-flower industry but for the bulb industry and getting the biggest bulb means cutting flowers off at the right time (which is right at the peak of their blooming period). So before you leave, make sure to check online and avoid standing in front of a bunch of empty fields.